Courtney Mann, ETC: Free online Books! Where we do sight word bingo! My kids didn't want to leave tutoring- they wanted to keep watching books. It was great. Even though it was above their level they still enjoyed it. As each word is read it is also highlighted! Great way to introduce new words. 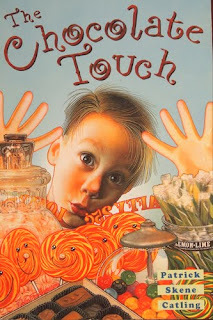 We are reading The Chocolate Touch this week in reading. Not a fan so far. Hopefully it grows on me. This site has really good questions to go along with chapters. 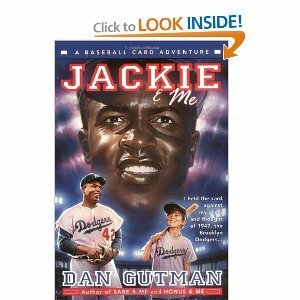 Also in order to celebrate next month (Black History Month) we decided to do a fictional read for our read-a-loud. It is titledJackie and Me. So far my kids really like it! Something to check out! Hope everyone survived their Wednesday! I'm seriously craving chili or cheese soup. I can't wait to head up to my parents this weekend and cook something. Last night I made vegetable fajita quesadillas---amazing If I do say so myself. Greetings! A debt of gratitude is in order for the immense data you havr gave! You have touched on crucuial focuses! Nutritional supplements such as proteinketo burn protocol pdf powder or vegetables with a high percentage of proteins can be used. I do not really understand if this last pet was of even imperia online game worse quality compared to the additional or because he found out the secret to break it.